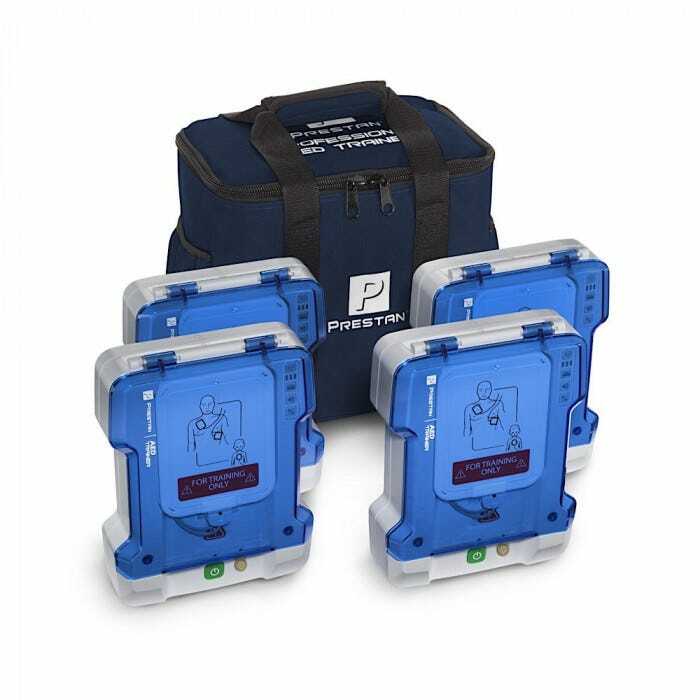 Prestan Professional AED Trainer PLUS is a leading-edge AED Trainer that most closely resembles brand AED Trainers in size and weight for a realistic training experience. 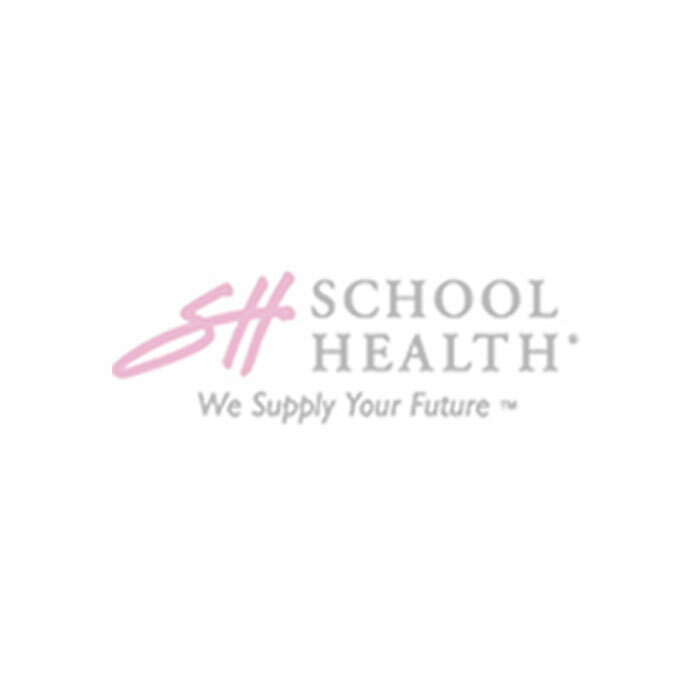 Features customizable options to match training environments and includes a child button. Clear confident voice prompts. Also provides CPR prompts to help the student keep pace with chest compressions. Easy to replace module containing current CPR guidelines and two languages. A remote is optional and available for instructors who prefer this feature. 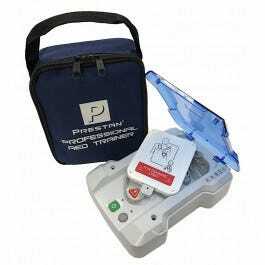 A single remote will control several AED Trainers within its range. The same quality and durability you expect from Prestan. Made in the USA and carries a 3-year warranty!